I have cleaned and set the boiler in house I bought(baxi luna duotec 40GA) and adjusted flow rates of the uponor composite manifold that has uponor slow opening electric valves, house has 4 zones, each with a nest that speaks to a taco, the taco 4 zone controller then tells what looks like a taco relat box to the punp to turn on and for the baxi to fire. My boiler does radiant under hardwoods, radiant in slab and two rooms with buderus 4in wall radiators. It is set up to run at 140 degrees. 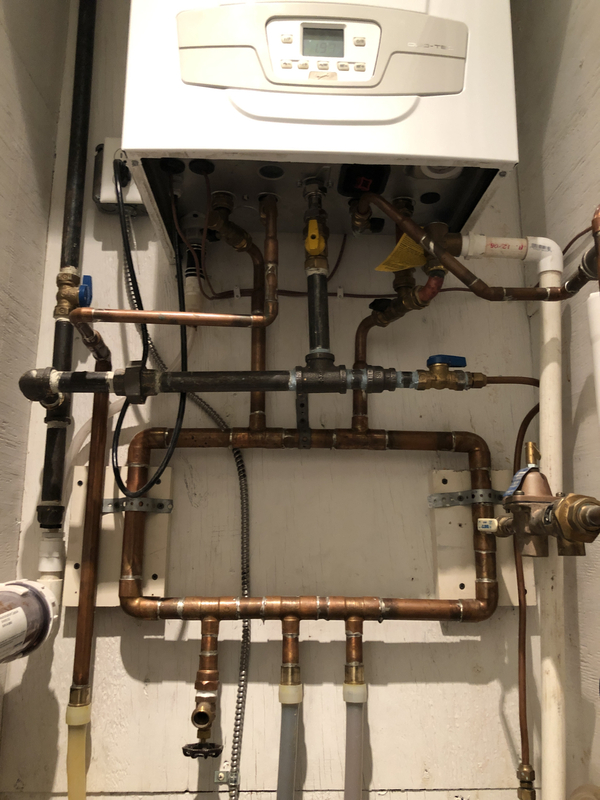 Question is, the supply and return lines coming from boiler are connected in a loop, I think this is dumb because it seems to be sucking the hot from supply into thw return and raising my return temp which in turn lowers how often boiler is condensatimg correct? Does this male sense? There is no expansion tank in system, but i do mot think combi boilers in closed loop systems require them but maybe I am wromg.